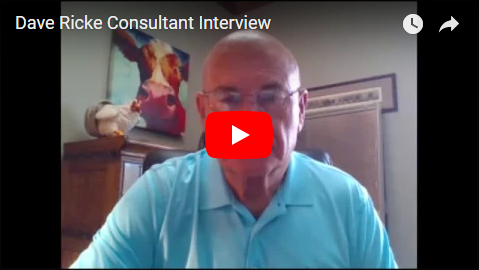 We recently started interviewing some of our consultants that have been with us for many years as part of our new Consultant Outreach Program. By doing this we are hoping to be able to share some of their experiences and knowledge with some of our other consultants, who might have questions or just simply need to hear the wise words of someone that has been through all the ups and downs over the years. These Consultants have been wonderful to give us a few minutes of their time and we thank them for that. We look forward to future talks with them and future talks with other consultants as we grow our Outreach Program. David Ricke has been with Brookside for over 30 years. He has put in lots of hard hours and time to get where he is today. Dave was like any other consultant that started out working for a large layer farm in Indiana. Dave eventually started to branch out in other areas of the agriculture industry which lead him to becoming a consultant for Brookside in 1981 in our agriculture division. David offers much good advice during our short interview and he is full of knowledge on many different levels. When you have been with a company for 37 years you tend to learn different tricks a long the way. Reaching out to consultants like David when you have questions or concerns, can be helpful for not only you, but for your business as well. Everyone wants to succeed in this world and by listening and taking advice from those who have been down the road you’re on before, is the best way learn and grow. Go to our YouTube channel in order to listen to the recent consultants that we had the opportunity to sit down and speak with.